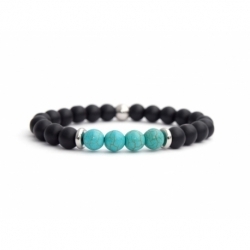 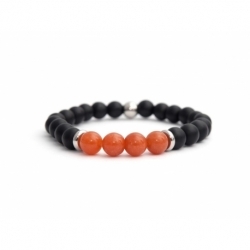 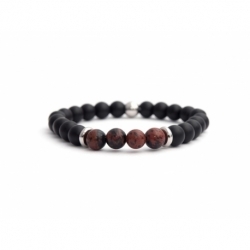 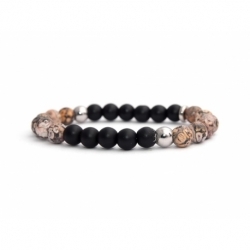 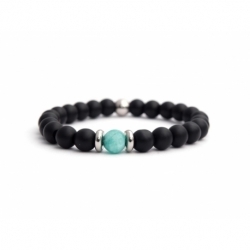 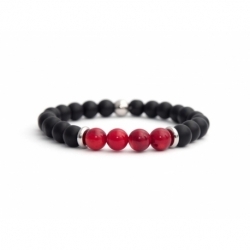 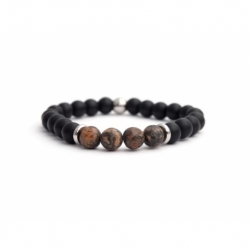 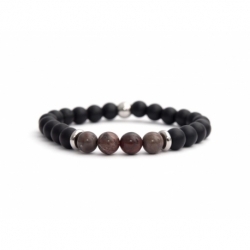 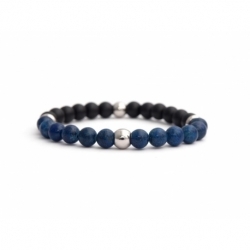 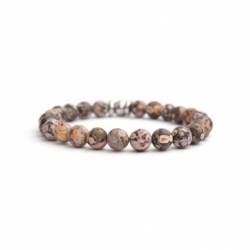 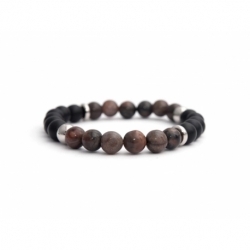 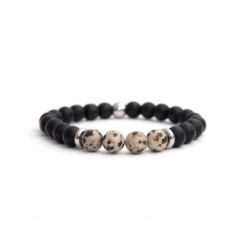 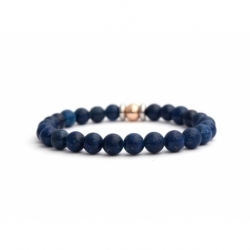 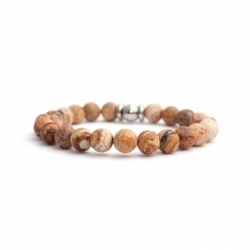 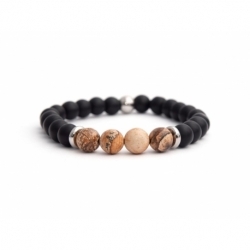 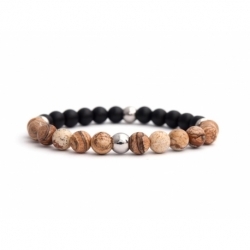 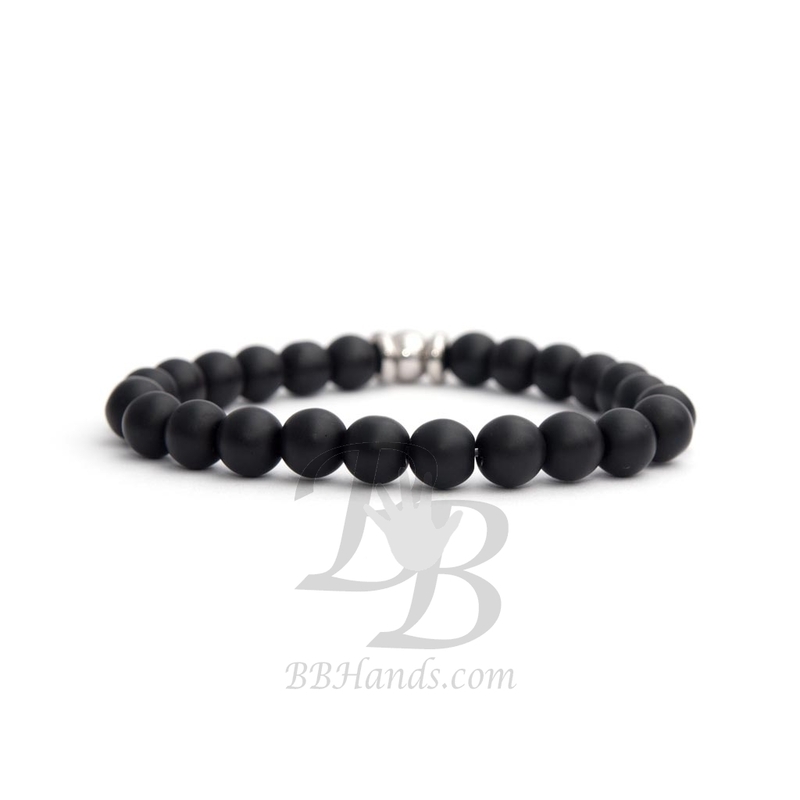 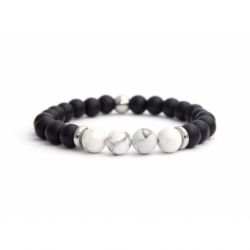 This man stretch bracelet is stylish cool and will offer an eccentric element to your bracelet layers. 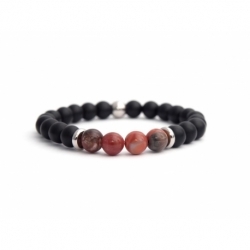 A strand of streach cord is lined with black matte onyx semi-precious stones and steel accents. 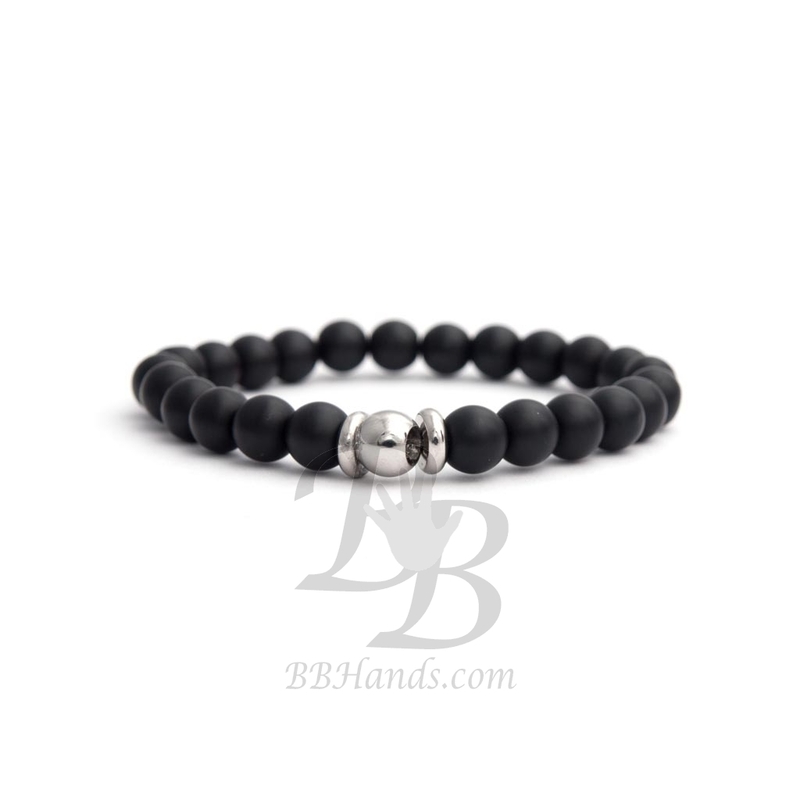 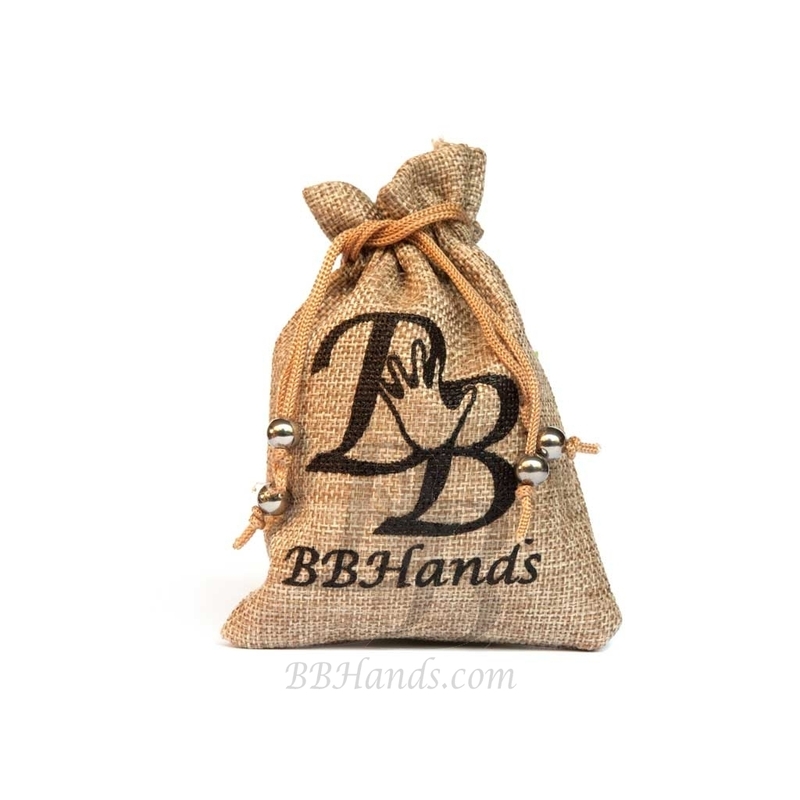 This easy to wear design will add beautiful details on your personality.